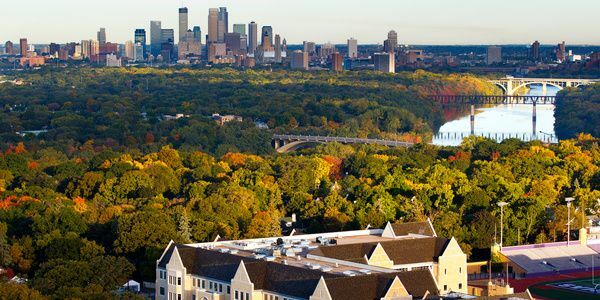 Founded in 1885, the University of St. Thomas is a private, university with campuses in St. Paul and Minneapolis, Minnesota. The university also has a campus in Rome, Italy. 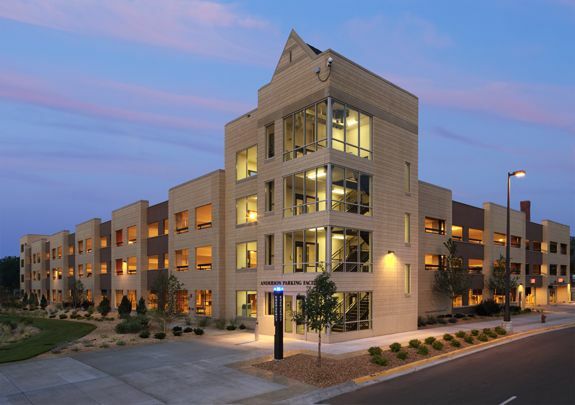 It is the largest independent university in the state of Minnesota. St. Thomas offers more than 100 majors and 60 minors to its undergraduates along with more than 60 graduate degree options through its schools & colleges: College of Arts & Sciences, Opus College of Business, College of Education, Leadership and Counseling, Dougherty Family College, The St, Paul Seminary School of Divinity, School of Engineering, School of Law and School of Social Work. 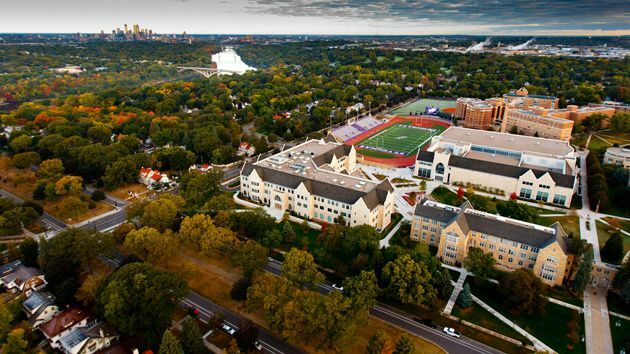 The most popular majors at University of St. Thomas include: Business, Management, Marketing, and Related Support Services; Communication, Journalism, and Related Programs; Biological and Biomedical Sciences; Engineering; and Health Professions and Related Programs. The total student population at the university is more than 10,200 of which over 6,200 students are enrolled at the undergraduate courses. The student to faculty ratio at the university is 14:1 and the acceptance rate is 84%. The University of St. Thomas offers merit-based scholarship awards equal to up to 40% of tuition for qualified international undergraduate students. 94% of the students at the university receive some form of financial aid. The students have the opportunity to engage spiritually through the campus ministry program, or volunteer in the local area. The Art History Department at St. Thomas explores the many dimensions of art in a broad range of periods and worldwide cultures. The courses, programs, and faculty of the department prompt students to become investigators, learning to ask and answer questions about art, from pottery to painting, from bronzes to buildings. The Department of Catholic Studies is an interdisciplinary program that brings students to an encounter with the breadth and diversity of Catholic culture, as an historic reality, shaped by philosophy and theology, expressed in literature and the arts, and lived in community. By examining the role it has played in various cultures, students are challenged to take seriously Catholicism s transforming power in every aspect of intellectual, spiritual, and social life. Students graduating with a major in chemistry will have the necessary knowledge to prepare them for a career in chemistry or for graduate school, and the confidence and skill to succeed. They will have the ability to read, comprehend, write, and speak with clarity and understanding in technical areas. They will constantly apply critical thinking to their readings in the technical literature. They will have developed good laboratory skills and be familiar with modern instrumentation and with the use of computers in technical fields. Students graduating with a major in chemistry will have the necessary knowledge to prepare them for a career in chemistry or for graduate school, and the confidence and skill to succeed. They will have the ability to read, comprehend, write, and speak with clarity and understanding in technical areas. They will constantly apply critical thinking to their readings in the technical literature. The study of Classical civilization the cultures of ancient Greece and Rome and their relationship to the societies of the Mediterranean and the Near East is the origin and foundation of the modern university. To this day, it continues to be a model of an interdisciplinary approach to the study of culture, combining fields of literature and language, history, archaeology and art history, religious studies, and philosophy. b) Official high school transcripts, certificates and/or diplomas. Graduate: Requirements vary for each program. The annual cost of living is USD 14,000 approx.